Since his youth, the Swedish artist Andreas Eriksson (b. 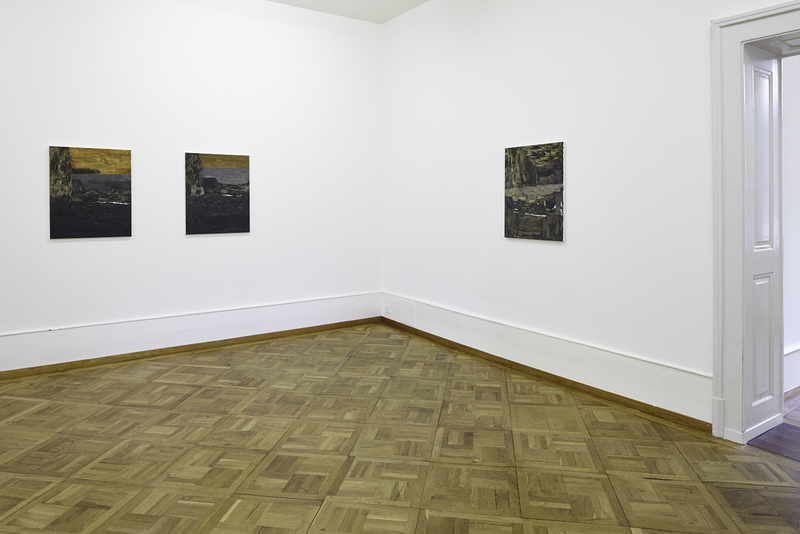 1975, Björsäter) has been preoccupied with painting both as medium and as subject. 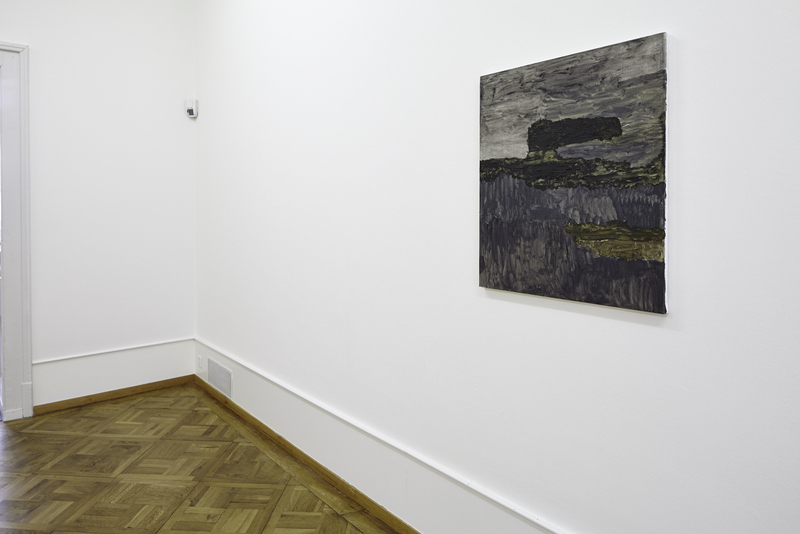 His atmospheric works are evocative of the landscape surrounding his studio in the Swedish countryside. At the same time, he is less interested in creating images than in using canvas and paint to project and formulate his visual and emotional experience of the natural environment. 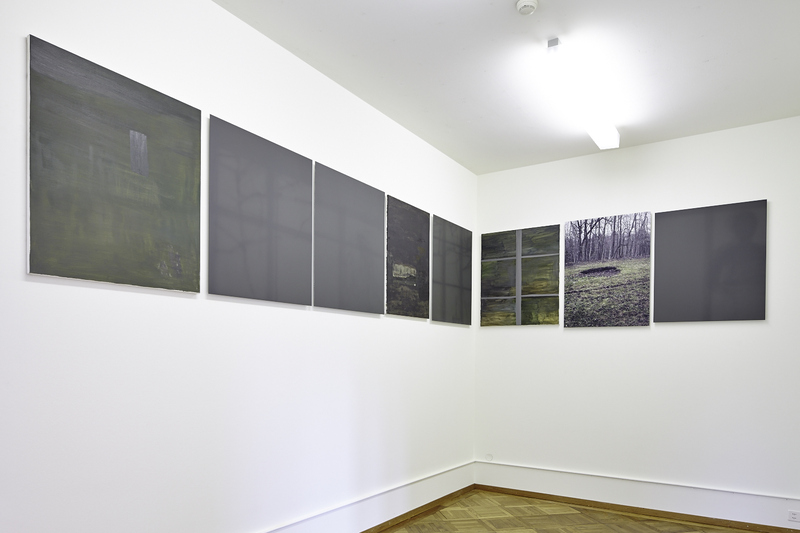 Eriksson also works in photography, sculpture, video and weaving. 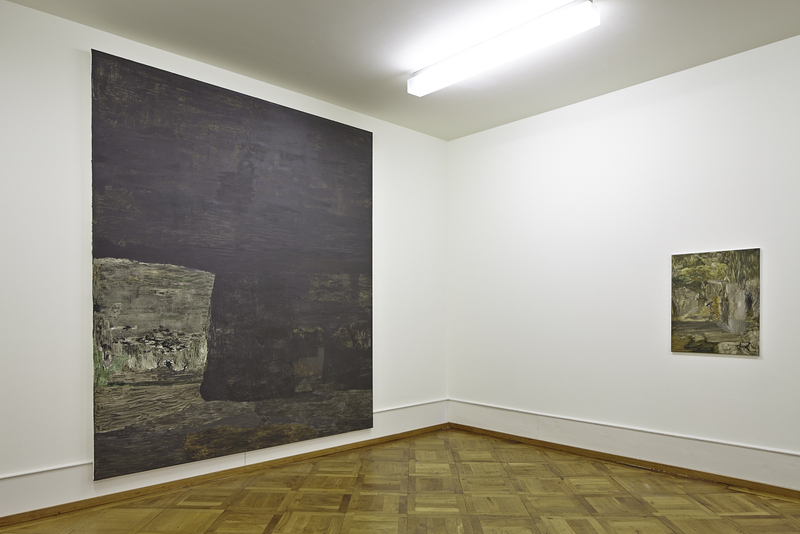 However, he regards these media ultimately as different ways to explore painting, in particular its ability to translate the everyday into a more diffused space for the viewer to dwell in. 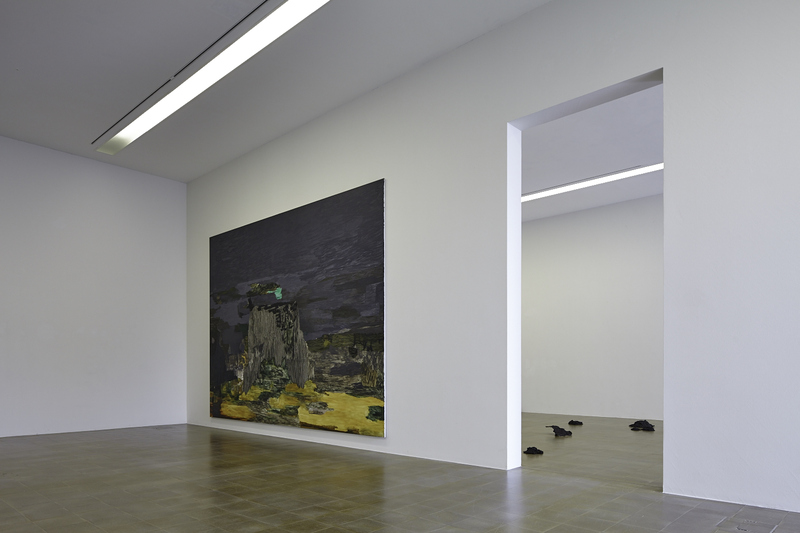 This is Andreas Eriksson‘s first major solo exhibition. It focuses on work from the last decade, including new pieces, such as his damask tapestries and the video installation Houses. The artist is best known as a painter and is often described as belonging to a Northern European tradition due to the motifs he draws from the rural surroundings of his studio. 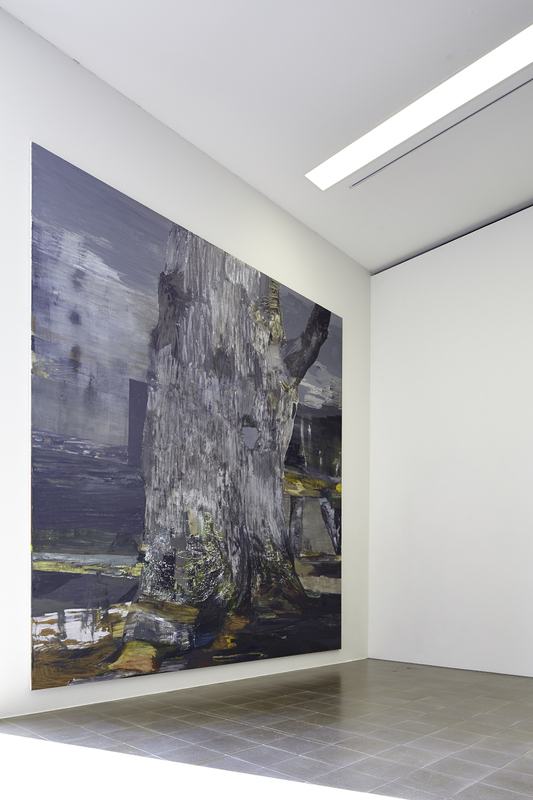 However, in contrast with Romanticism, his works reflect an analytic, experimental, and technical approach to the canvas and the colour palette of his natural environment. 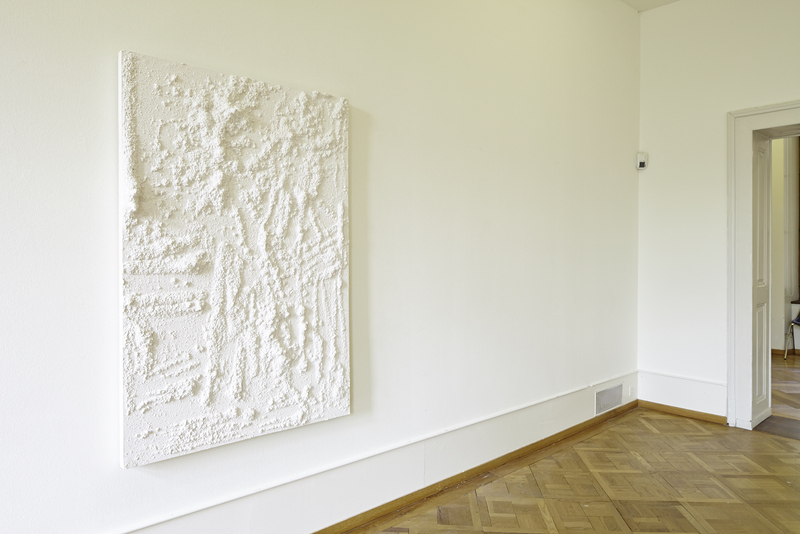 Rather than painting nature in order to explore it, Eriksson is interested in examining himself in his environment, through the tones and textures of paint. 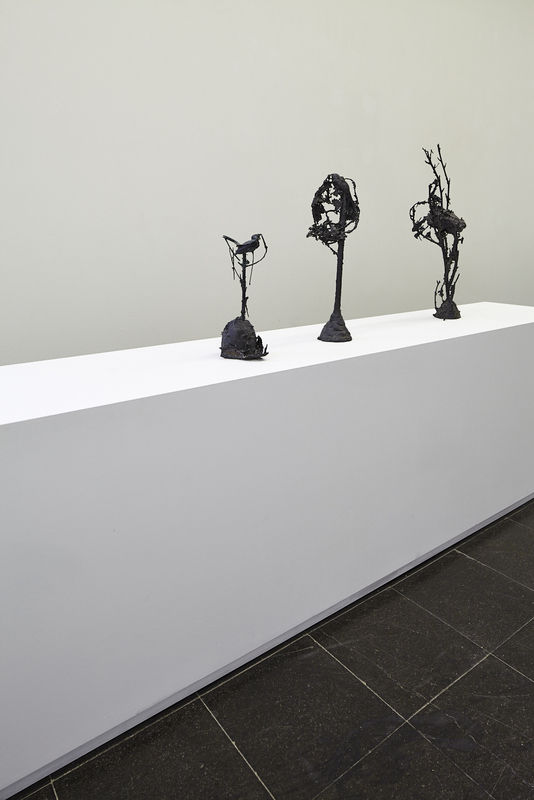 Eriksson’s approach to sculpture, weaving and video as different ways to explore painting is reflected in the exhibition. 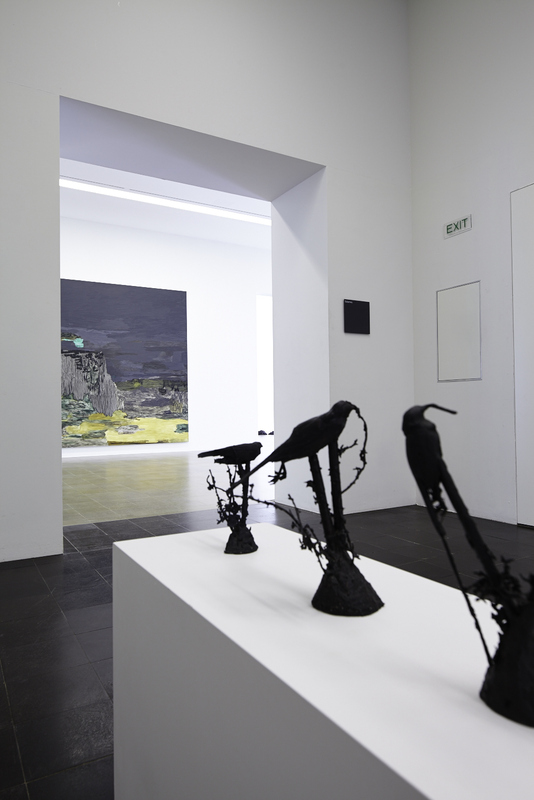 He connects his bronze casts of birds that flew into his studio windows, chasing the illusion of landscape, with the risk involved in painting: rather than creating optical effects, Eriksson emphasizes the materiality of the medium. 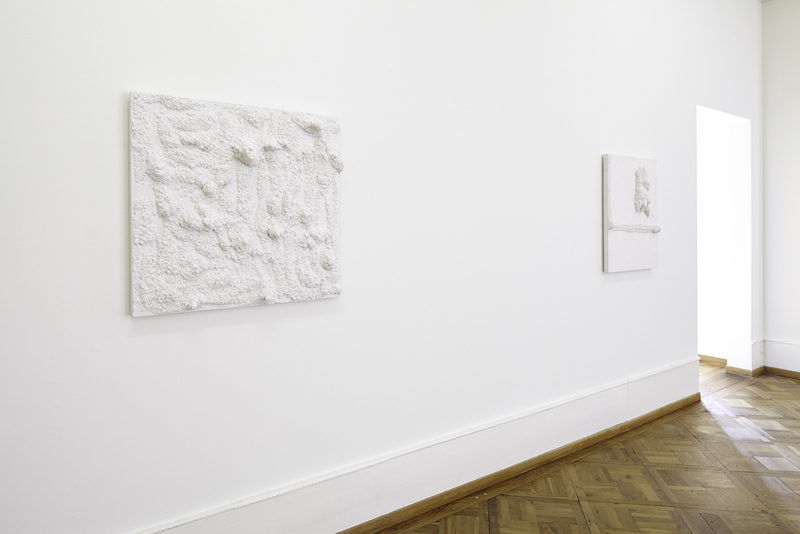 Similarly, he has made casts of the molehills that appeared in his garden, regarding their unpredictability as analogous to the artist’s lack of absolute control. 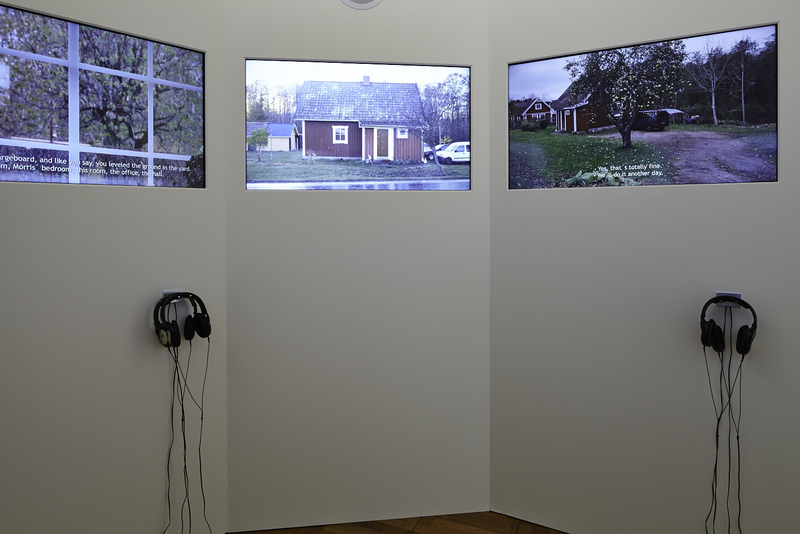 The exhibition also includes Eriksson’s first video work, Houses, which functions as a metaphor for his work in general, in particular the importance of allowing new ideas to grow without having to conform to the norm. Driving past them regularly, he has watched how the four houses that were built identically have been rebuilt depending on the owners’ needs and tastes. 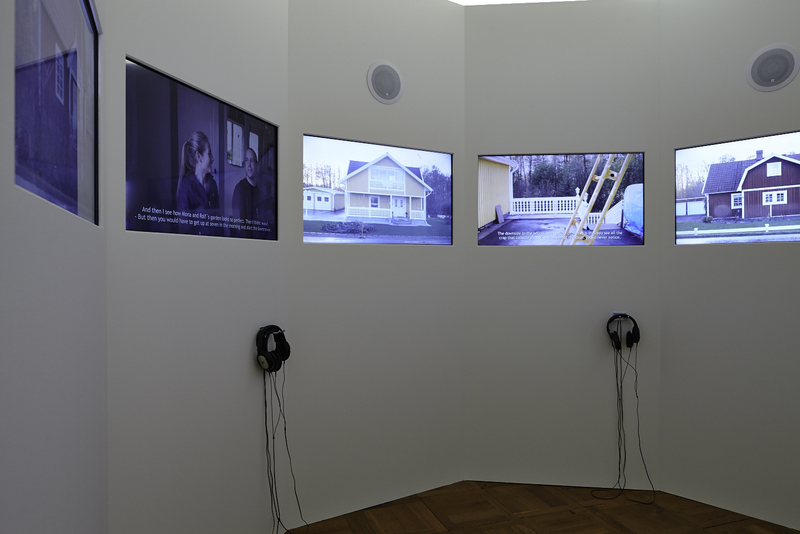 Consisting of eight videos shown around the walls of the specially constructed circular space, they alternate documentation of the houses’ interiors with a video made with a static camera of the road in front of the houses. The other group of new works are the three damask weavings that are based on photographs of the view from the Bonniers Konsthall onto the train tracks of Stockholm. In a laborious process involving expert weavers, the images were translated into textures in the fabric, with the inked details embroidered by hand. Andreas Eriksson studied at the Royal Institute of Art, Stockholm from 1993 to 1998. In 2011 he represented Sweden in the Nordic Pavilion at the Venice Biennale. He currently lives and works in Medelplana, Sweden. The exhibition was produced by Bonniers Konsthall, Stockholm. 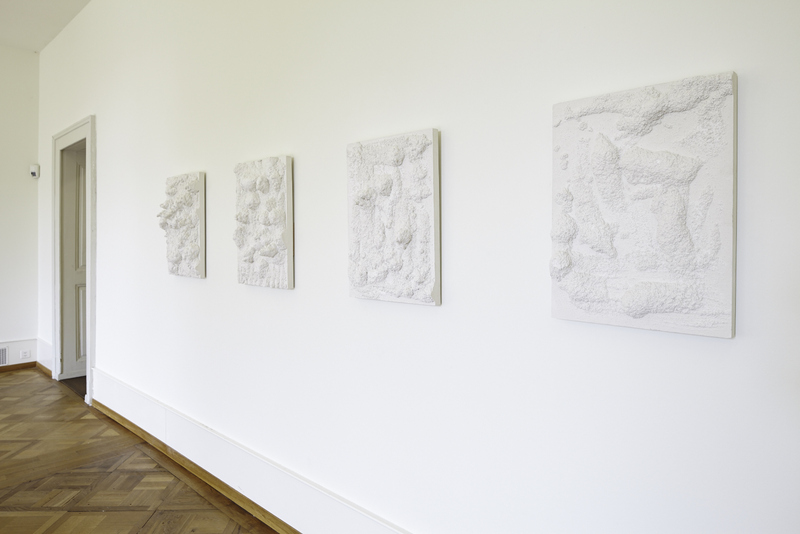 The exhibition and accompanying publication are and a collaboration between Bonniers Konsthall, Trondheim Kunstmuseum, Reykjavik Art Museum and Kunsthaus CentrePasquArt Biel. The exhibition has been conceived by Bonniers Konsthall, Stockholm. Exhibition publication: The publication on the occasion of the exhibition is a cooperation between Bonniers Konsthall, Trondheim kunstmuseum, Kunstmuseum Reykjavik and Kunsthaus CentrePasquArt. With the generous support of the Stiftung Kunsthaus-Sammlung CentrePasquArt and the Embassy of Sweden, Bern.